Finding new email marketing ideas to keep your audience engaged with every email campaign can be difficult. Fortunately, every month brings us new holidays and events to inspire fantastic email marketing ideas. 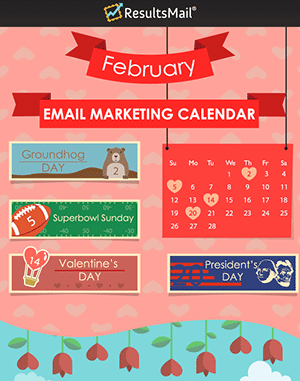 February is a special month with some very important marketing dates to watch out for. To help you keep track of all of these great email marketing opportunities, we have created the ResultsMail February Email Marketing Calendar. Download it, save it, and use it to plan your email campaigns. With ResultsMail you can create all of your email campaigns in advance and schedule them to go out when they will receive the most attention. 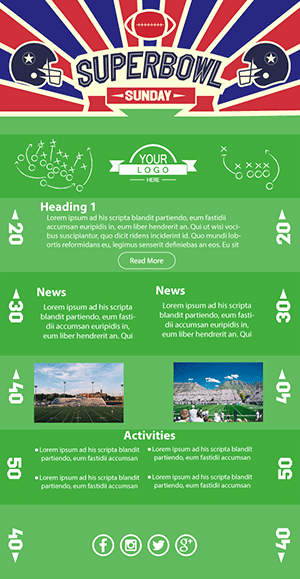 Check back with our blog for new email marketing ideas, calendars, and new templates for every month! Will Punxsutawney Phil see his shadow and give us 6 more weeks of winter or will he tell us to expect an early spring? 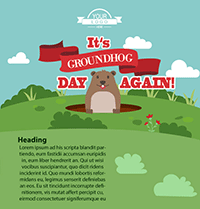 A cute, furry animal and a strange tradition are a perfect excuse to come up with a fun email campaign. Even more importantly, this day has a Bill Murray movie that reminds us not to get stuck doing the same thing over and over again. There can be no more important message for email marketers. You can’t just send the same message to the same list and expect the same level of engagement. This would seem obvious, yet a question we hear all the time is “Why do I have less opens each time I send the same email message to the same people?” Use the Turn the Tables Rule of marketing and think to yourself, would I open the same message over and over again? Ask yourself, what can I say in my email campaigns that is new and interesting? How can I provide a new perspective or a new insight in my industry? 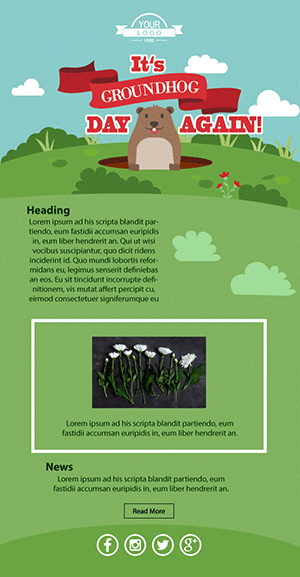 Look for new ways to make your email campaigns interesting and watch those open rates soar! Whether you are a Hawks fan, a Patriots fan, or not even an American Football fan, you have to be aware of the Superbowl as the most important event for advertisers in the United States. Everyone looks forward to see what great new creative commercial will come out next, and for the millions of dollars those companies spend for their 30 seconds of your attention, it better be great. 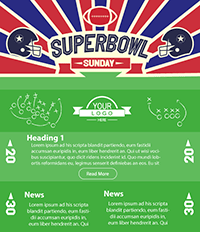 While you may not have $4 million to spend on a Superbowl ad, you can certainly come up with a unique, fun email campaign to get people talking. Let those ads be your inspiration for email marketing ideas that are funny, creative, and different to catch your audience’s attention. Valentine’s Day is one of the biggest marketing days of the year. Billions of dollars are spent on candy, flowers, lingerie, jewelry, fine dining, luxury hotels, romantic vacations, and every other expression of love that money can buy. If you have a product or service that could be a Valentine’s Day gift, then take advantage of the reduced price elasticity of demand that love can bring and get your Valentine’s email campaigns out early. If not, then make your list your Valentine. Let your customers know you love them and you want this romance to last. Many politicians have used ResultsMail for their email campaigns, one that even became President. We don’t take sides, we just make sure their email campaigns are as effective and successful as possible. President’s Day brings us an extra-long weekend to remember George Washington and Abraham Lincoln. Regardless of your political opinion, President’s Day is a time to get patriotic and add the red, white, and blue to your email campaigns and let people know you have some great President’s Day deals. Every month, every week, there is a reason to reach out to your audience with a creative, attention-getting, fun email campaign that will be opened. Try out our new holiday and fun email templates for inspiration of your best email marketing ideas.